Get This Popular Training on DVD - While Stocks Last! Carl is one of the most professional and the most valuable business builders I know. I strongly recommend him for anyone who wants to get more out of their business. Imagine picking up the newspaper and checking the business for sale section. You see a restaurant for sale that peaks your interest. You call up the owner and tell him you’d like to buy the business but you’re only going to pay $1. 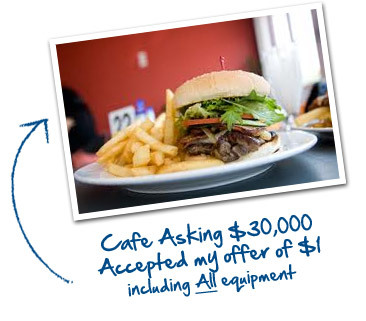 As you expected he accepts your offer and you walk in to your new business with cashflow from day 1, but even better than that you love the fact that you don’t have to be the chef, the waiter or work in the business at all – You’re able to focus on using the simple strategies you’ve used many times before to increase the business profits so you can list it for sale again in just 90 days. I understand, especially if you’ve ever been in business and experienced the anguish and frustration of an almost empty bank account, struggled to gain new customers, and had to work 80+ hour weeks – it just doesn’t sound like reality right? In this exclusive "How To Buy A Business For $1″ training I’m going to show you how I and other high level entrepreneurs have been able to do just that. You’ll walk away from this course knowing exactly how to buy a business for little or no money and use simple strategies to build your business rapidly. If you're frustrated with your current situation and always thought there must be a better way... you were right. What if you could avoid the anxiety and pain of an empty bank account when you are starting out in business? There is a little known strategy that the top 2% of entrepreneurs have been using for years, they’re able to build businesses smarter, with less risk and higher returns… and you’re about to discover their secret. To me Carl is the epitome of entrepreneurial spirit. His business prowess and wisom belies his age, enabling him to communicate and connect easily with audiences of all demographics. Carl has been a great help to my company, his techniques have helped our company to spend more time with our clients helping them grow. Carl is a very resulted oriented person who is good at seeing 2 or 3 steps ahead whilst everyone is focused solely on the present. This future insight allows better ideas for the present. Carl’s ideas are fresh, clean & easy to put into action, I like his approach to the task at hand and I have already recommended him to a business colleague who is also very impressed with his ideas. This DVD training will transform the way you look at business forever. "How To Buy A Business For $1"
You’ll discover how I have negotiated to buy businesses for just $1 and why a business owner would agree to such a price. You see most business owners are struggling to pay their rent, wages and suppliers each month (I know I was one of them). They sadly are struggling so much with their business that if you can take that pain away and take over their lease and pay their staff, they’ll gladly accept your offer. In fact you’ll even learn about how big businesses have also sold for just $1 including Luna Park, ABC Learning Centres, TV Guide, The Washington Times and more. You’ll hear about how I bought a business asking $34,000 using none of my own money. There is a unique and massive opportunity right now globally that makes this strategy so powerful and I can’t wait to share it with you. Mission Australia paid a token $1 each for 29 ABC Learning centres. Yes, you read that right… $29 for 29 fully equipped, operational, with customers, Childcare centres. ABC Learning collapsed after trying to expand too fast and please shareholders. Mission Australia’s model for childcare was completely different and didn’t have to support shareholders – making the purchase a great deal. So you go out and buy a business… now what do you do? You need to build it rapidly, build the right team, systemise and automate as much as possible and increase profits dramatically. You’ll be learning my 3 P’s system to growing a business quickly, what you focus on first and why including How I built one of my businesses up and sold it again 18 months later. Did you know that one of the quickest ways you can build a business is to increase prices! Most business owners are too afraid to put their prices up and they’ve had the same price for the last 5 years which is quietly killing the business, a simple price rise can often take a business from in the red to profitable almost overnight. You bought the business for $1, You increased profits up 248%… its time to cash in. You see the real money is made in business, not from running the business but from SELLING THE BUSINESS! Typically businesses are valued on a multiple of profits, so if your business has a profit of $100,000 and you manage to sell it at a 1.5x multiple you could sell it for $150,000. Sadly, most business owners are lucky if they get a 1x multiple valuation on their business, in fact most don’t even sell they just shut the doors. When you know what to do, and who to sell to you could get a 2x-3x multiple and sell that same business for $300,000 without having to increase the profits any further. I didn't know any of this when I just 18, nieve and fed up with my business. So I sold my first business for just $600, 10x LESS than it was actually worth based on only a 1x multiple. "Who Is Carl Taylor and Why Should You Listen To Me?" 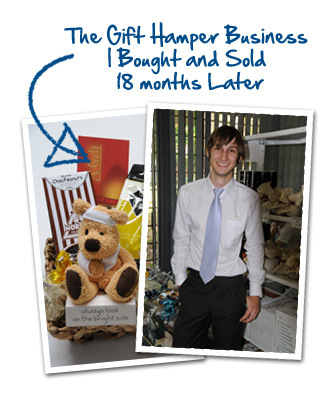 That’s a great question, here’s some background… I’m a young guy, I recently turned 28 years old but I’ve been in business now for the last 13 years, where I’ve started, built and sold businesses in varying industries from Gift Hampers to Computer Services, each time learning more and getting better results. I’ve come a long way from my first ever business at age 15, where I quickly realised that starting a business is a tough slog… long hours… and little pay. It took me a while to really learn that lesson though because I continued to start businesses – many of them failing. You see when I started my first business ZainyFX it was going to be an online costume shop, somewhere you could hire and buy high end costumes from movies. Being the typical entrepreneur I rushed in and built a website, borrowed money from my parents so I could buy my first costume and then tried to sell what I had. The problem was being 15 as far as I was concerned the only people I could sell to were other 15 year olds, I hadn’t done any research and while everyone thought it was a “cool costume” – no one wanted it or could afford it and that business failed miserably. Fortunately that failed business led me on to my second business doing Web Design and Development and after two years, I decided to sell it. I knew nothing about how to sell a business or value a business, so I jumped on MSN Chat and asked a competitor if he would buy my business. He said “Sure, I’ll give you $400″, I nievly said “Make it $600″ and that was it… the business sold for 10x less than it was actually worth. After this I realised I had a lot to learn. So I started reading books, attending seminars, finding mentors and coaches to help me grow my businesses. After one particular seminar I took Bold Echidna my computer support business from being a home based business to having a large office and shopfront with 5 full time employees, and over a period of 8 years continued to grow that business using what I learnt, until I sold it in 2011. So now after 13 years and over $138,300 in my personal and business education later I’ve been extremely fortunate to have bought, built and sold over 3 businesses and been featured in various media such as Sydney Morning Herald, The Age, WA Today, Canberra Times, Business Day, Under 30 CEO, Nett, Australian Anthill and Sparxoo magazines including receiving honourable mentions in the Anthill Top 30 Entrepreneurs under 30 awards two years in a row and being named in the Top 10 Young & Influential Awards. Carl is brilliant at what he does. He’s the entrepreneur’s entrepreneur. He has an uncanny natural ability to see a vision in how to help take a business to the next level. Carl is one of those people you turn to when you want to build a business rapidly. His knowledge and understanding of marketing, systemising and selling a business is not only broad in scope but detailed in practice, delivered with practical strategies and advice. I’ve already worked with hundreds of entrepreneurs and business owners to grow their existing businesses, avoid the pains of startup and build a business that meets their lifestyle. Now I’m looking to reach more people and create more successes because I believe with more successful entrepreneurs, making more money, with more time and living with a purpose will mean the more will be given back and contributed to the world. You see I recently had the privilege of spending some time with some incredible kids at an orphanage in Thailand and it was there that I realised that my mission is to help more people have the freedom that I enjoy so they can contribute in the same way I have had the opportunity to. If I wasn’t in business and had the successes I’ve had I never would have had this opportunity. “How To Buy A Business For A Dollar”? 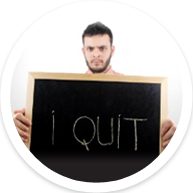 The Frustrated Employee… If you’ve been slaving away in a job yearning to get into your own business, but have been unsure where to start, or struggled for an idea… you’ll love this training. 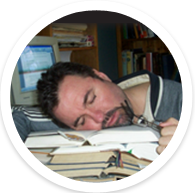 The Tired Business Owner… If you’ve been in business for a while and are looking to get out of it, let me show you how you can maximise the value before you sell, the best way to sell the business so you can start pursuing a business you actually love. Plus you'll even learn how to find a buyer for your business too. 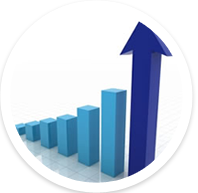 The Business Ready To Expand… If you’ve got a successful business but its hit a plateau, you know its time to grow but you’re looking for that next step, let me show you how you can acquire your competitors, buy up your suppliers and EXPLODE your profits EXPONENTIALLY. In this 2 hour training intensive I guarantee you will hear an approach to business that you haven’t heard before and that it can make you a minimum of $10,000 this year. If you don’t feel what you have learnt could make you $10,000 this year - I'll give you your money back 100% no questions asked. There will be no hassels, no hard feelings and we can still be friends. * This DVD retails for $47, but we're giving it to you complimentary. We just ask that you pay your shipping/handling to receive it (just $6.95 anywhere in the world). Questions? Email [email protected] BUSINESS BUILDERS ACADEMY by Carl Taylor is am exclusive deep-dive training on how to BUY a business for as little as possible, AND how to BUILD the business rapidly, so you can SELL for maximum profits. We don't believe in get rich programs - only in hard work, adding value and serving others. As stipulated by law, in promoting this and all our programs we use illustrative numbers only and we can not and do not make results guarantees or give professional or legal advice. That's why it's important that you read all of our terms and earnings disclaimers via the link below as you are not guaranteed to get results or earn an income. It's all the regular legal mumbo jumbo but we feel transparency is important and we hold ourselves (and you) to a high standard of integrity. That's why we also put our disclaimers on our checkout pages. Thanks for stopping by. Until next time, live life 110%.